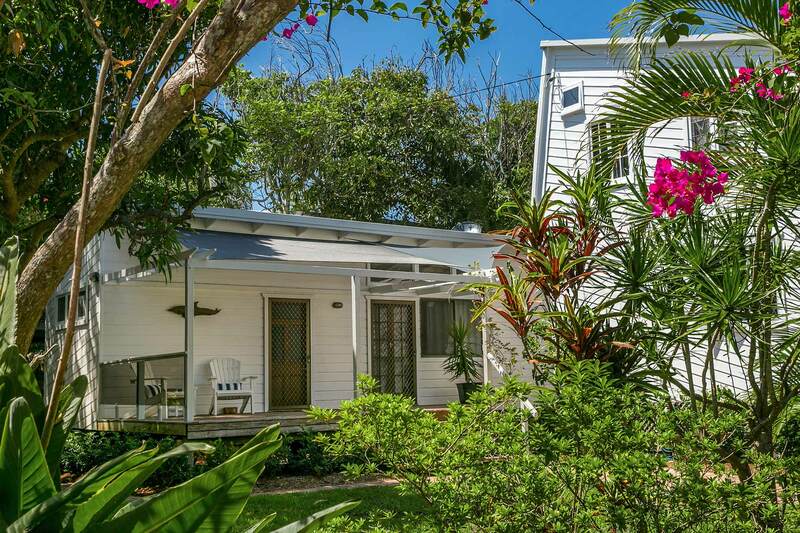 Welcome to Sweethaven - a charming, waterfront 5 bedroom, 3 bathroom property located at Belongil in Byron. 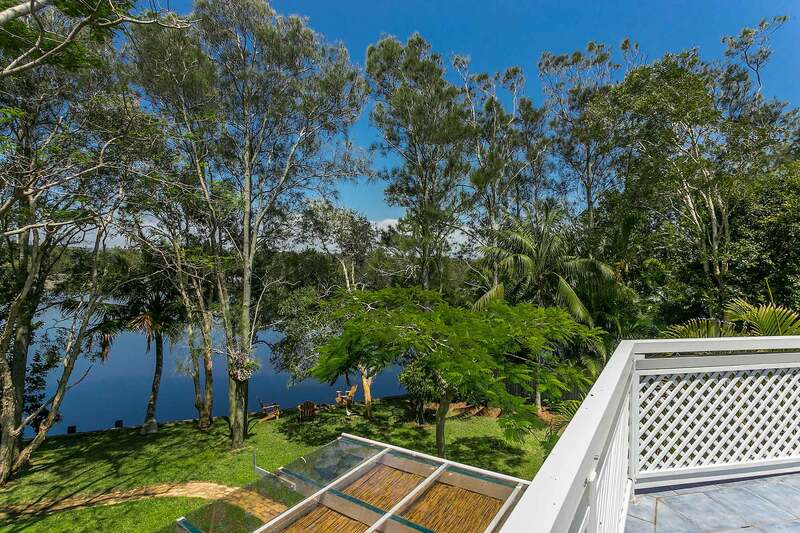 Featuring dual residences, this classic cedar timber home and separate studio/cottage sits within lush tropical gardens and trees atop a grassed lawn on the banks of beautiful Belongil Creek. 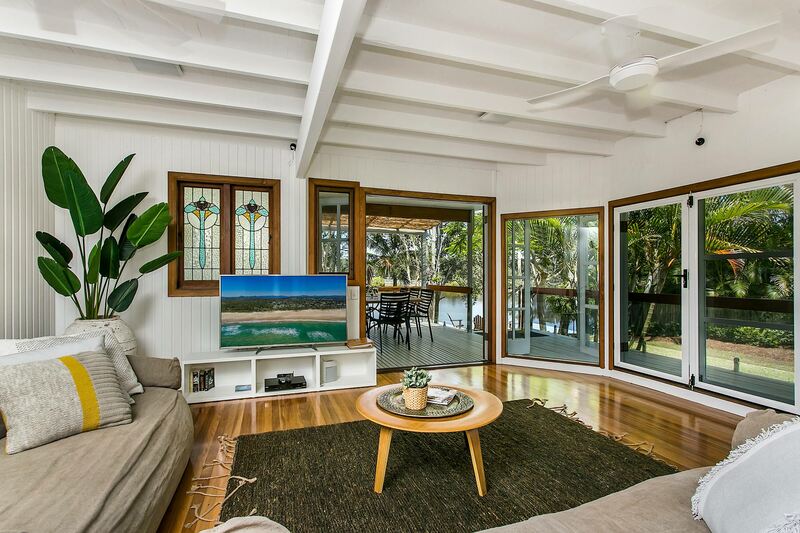 The double storey main house is sunny, bright and breezy, with high cathedral ceilings, exposed timber beams and easy coastal styling. 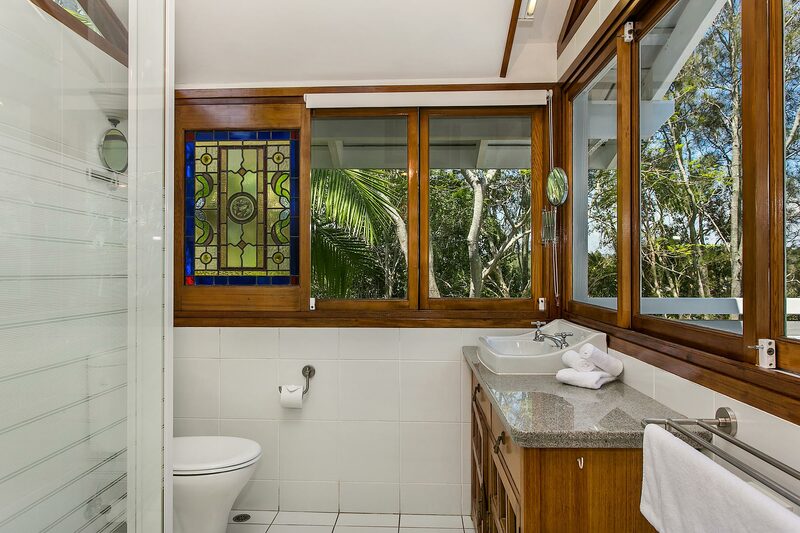 In an ode to yesteryear, it also features stunning stained glass windows and reclaimed timber throughout. A large country kitchen with stainless appliances, sunny indoor and outdoor dining spaces and open living with plush furnishings promise relaxation and three light-filled bedrooms are warm and inviting. 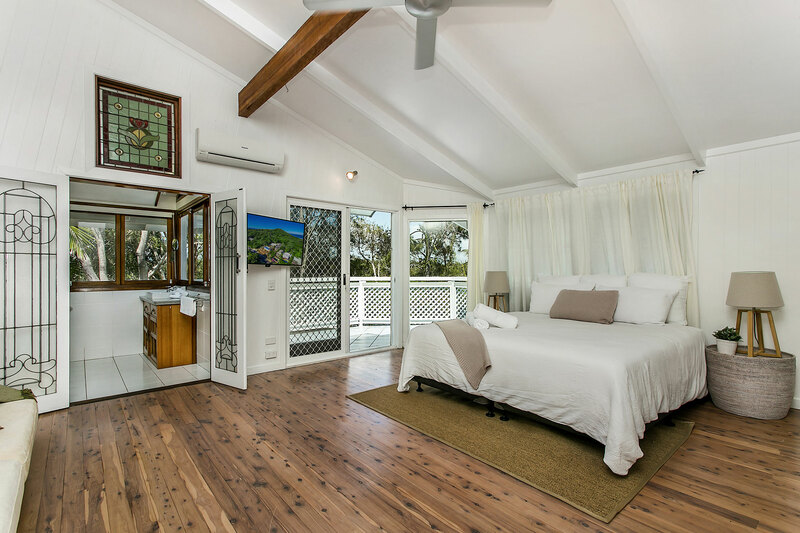 The separate A-frame, 2 bedroom, 1 bathroom cottage/studio is set in the shade of Sweethaven’s lush gardens and continues the country charm of the main house with stained glass windows, high ceilings, louvre windows and simple yet plush, beach-style interiors. 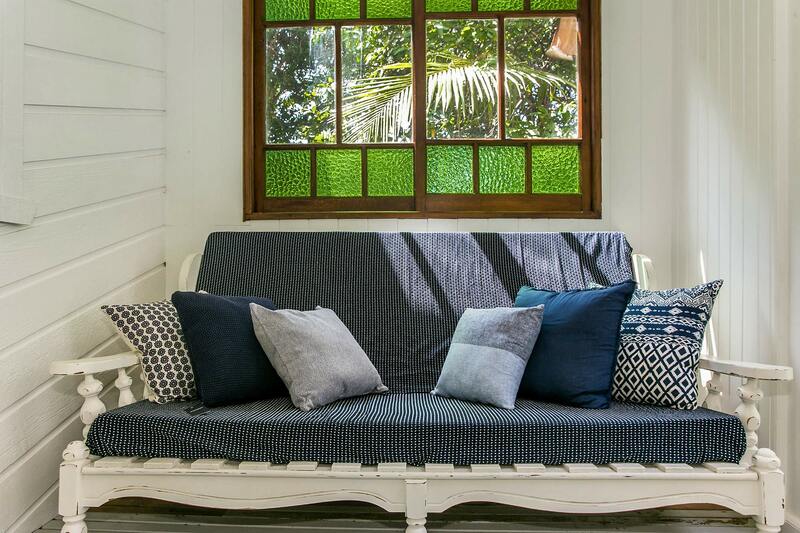 Wander down cobblestone pathways to timber chairs set in the shade of the property’s trees and watch the world go by, beside the tranquil Belongil Creek. 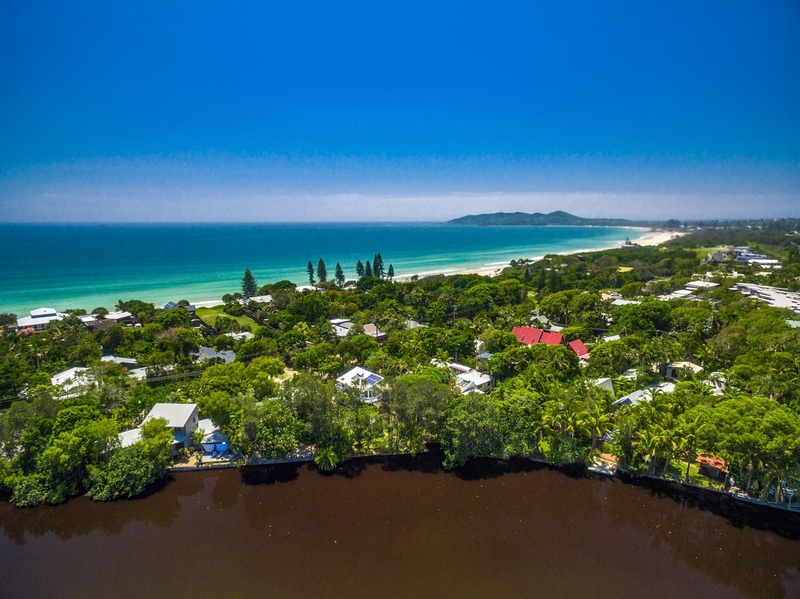 Stroll a short 200m to swim and play at Byron’s beautiful Belongil Beach and wander just 12 minutes along the beachfront to Byron Bay town. The Treehouse restaurant and Belongil Beach Cafe are also just a short 2 min walk away. 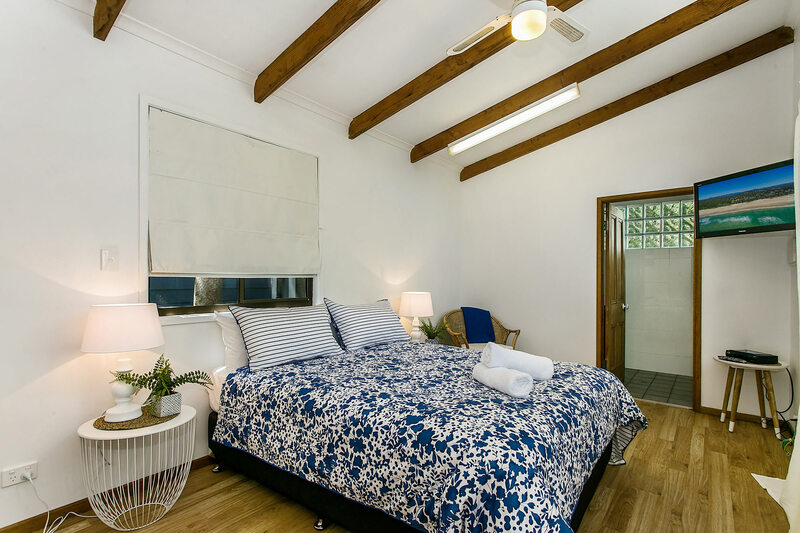 Relax in Sweethaven’s bright and open living space in the main house with polished timber floors, wall to wall timber framed windows and chic and casual interior mix of natural fibres, timber and green foliage. Two large sofas beckon, with a flat screen TV promising Foxtel and Netflix. The living space features doors on two sides, opening to the covered timber decking outside. 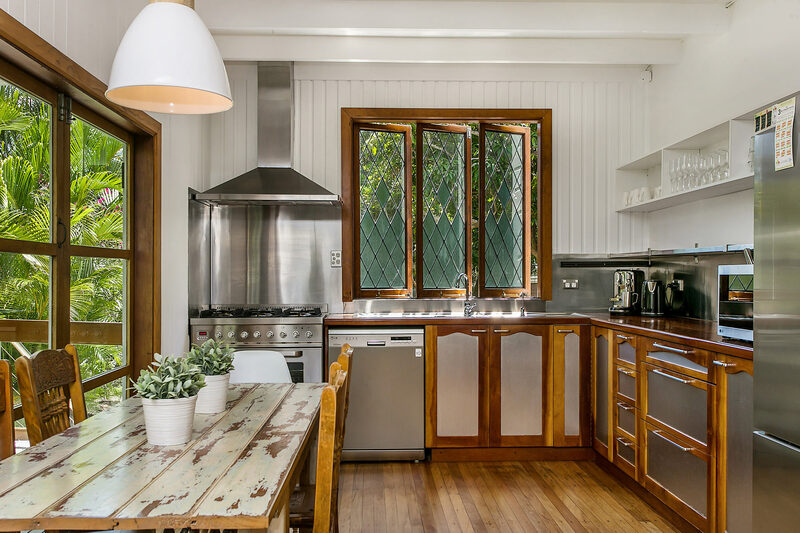 Make meals in the charming country cottage-style kitchen drenched in sun, with timber framed windows and a gorgeous reclaimed timber dining setting. The kitchen features top of the range stainless steel appliances and timber framed doors which open to the balcony beyond. 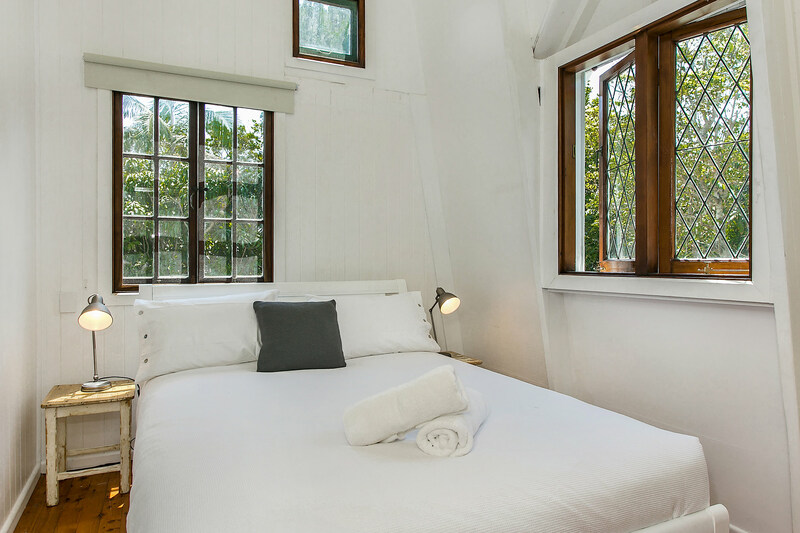 Peaceful slumber awaits with 3 bedrooms in the main house and 2 in the cottage/studio. 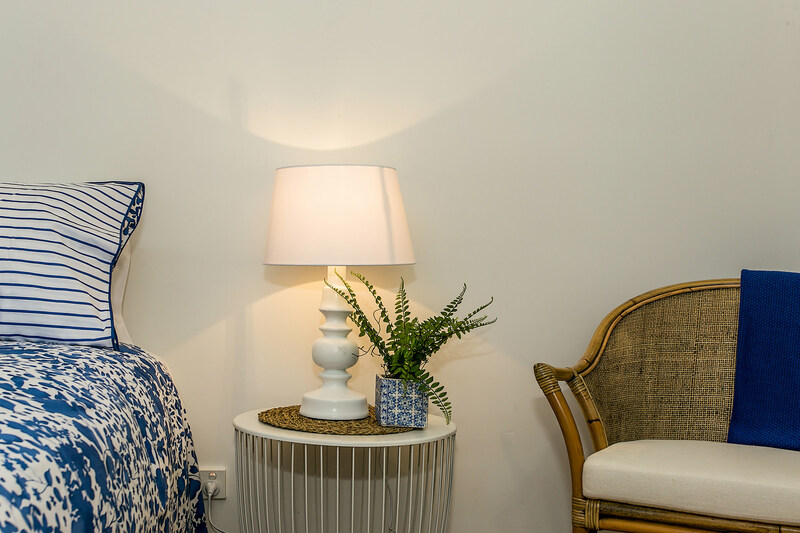 The master bedroom is spacious and sundrenched, with high ceilings and stained glass windows, wall mounted flat screen TV, air conditioning and glass doors opening to large balcony space which overlooks the water. 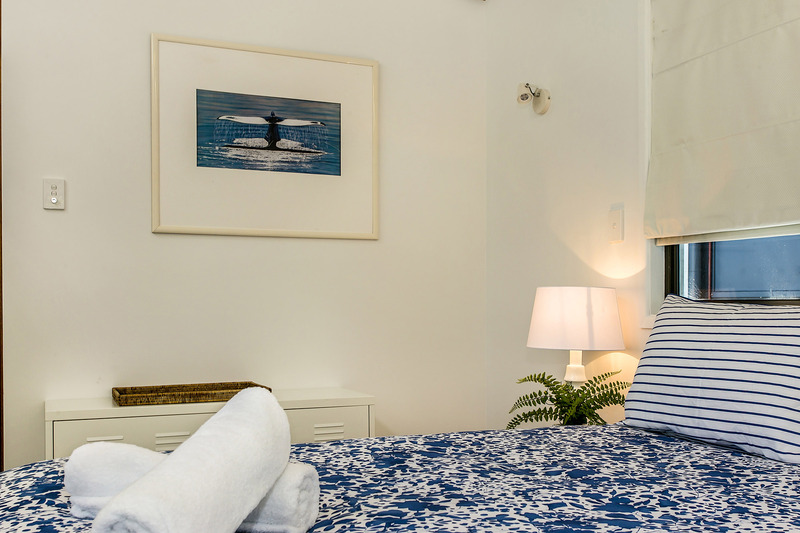 All the other bedrooms are light-filled and lovely, with simple coastal styling, timber framed windows, timber flooring and plush soft furnishings. 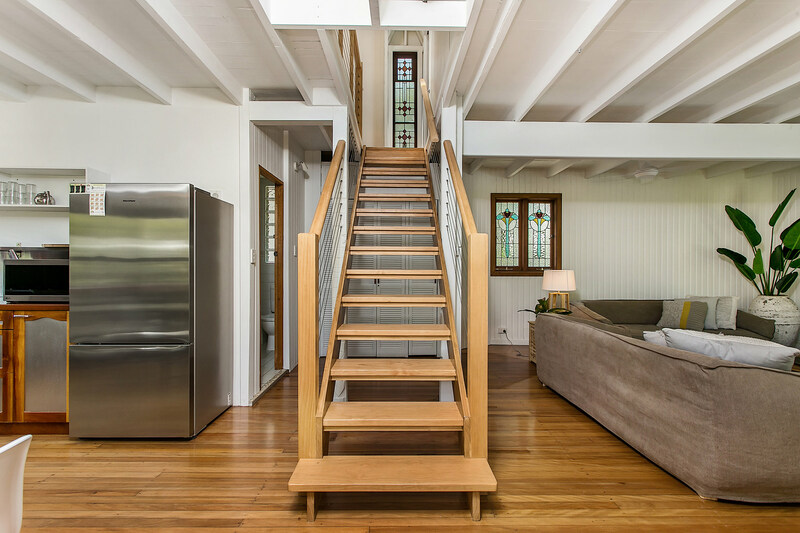 Sweethaven comprises 3 bathrooms in total, with the master in the main house featuring an ensuite with timber framed stained glass windows and views to the Belongil Creek below. 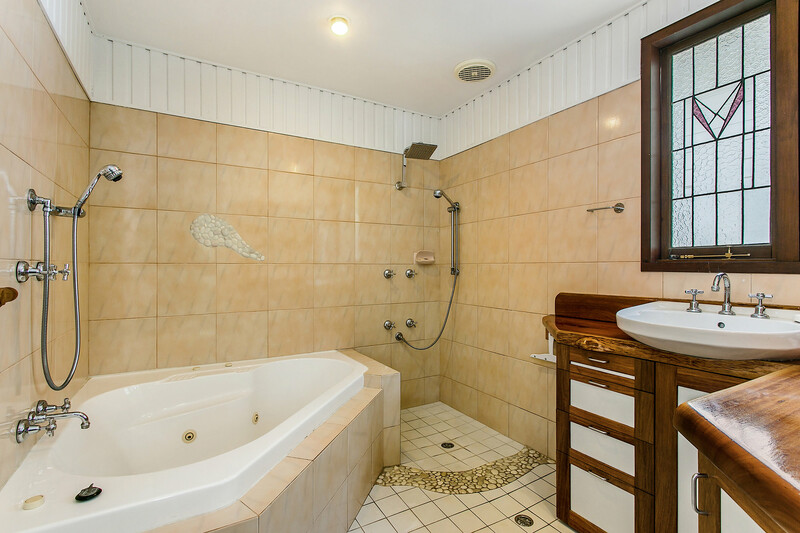 A large guest bathroom is located downstairs with spacious corner spa bath and dual shower heads. 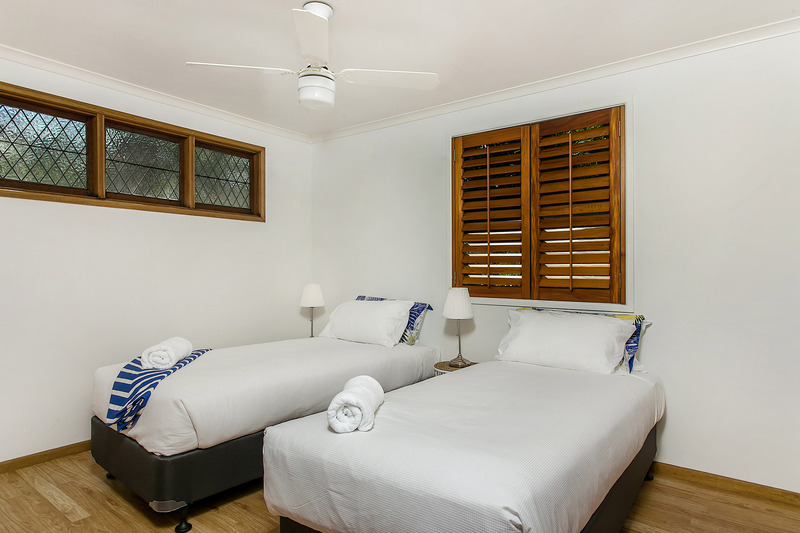 The cottage/studio also has an ensuite bathroom. 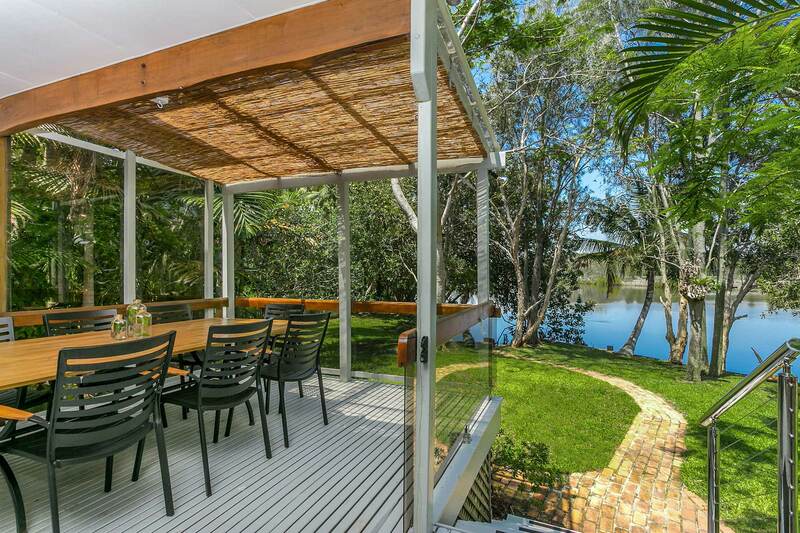 Enjoy balmy BBQ’s and meals in the covered al fresco dining area, overlooking the tranquil Belongil Creek, with an 8 seat outdoor dining setting. 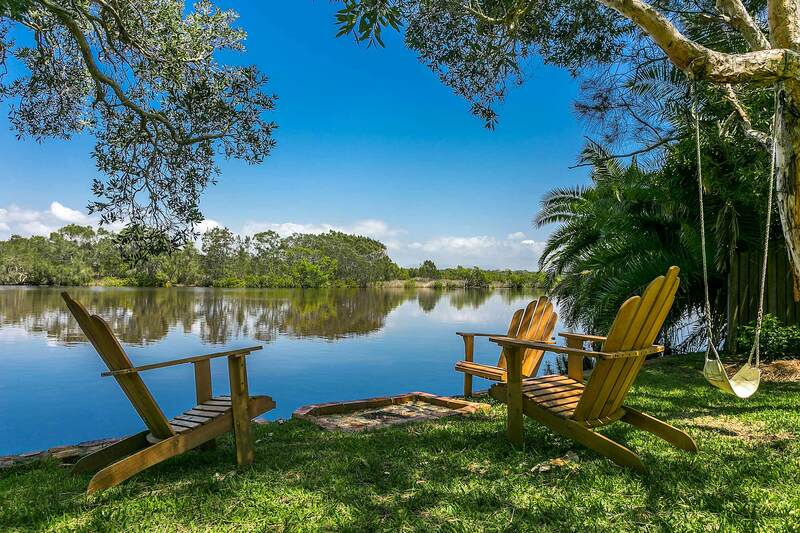 Wander down a staircase to a cobblestone pathway leading to the waterfront, where guests can relax in peaceful tranquility on timber sun chairs in the shade of the trees, on the grassy banks of Belongil Creek. Please note Sweethaven is not fenced and backs onto an open estuary, meaning children must be supervised by adults at all times. Swimming, jumping and diving in the creek is not permitted. 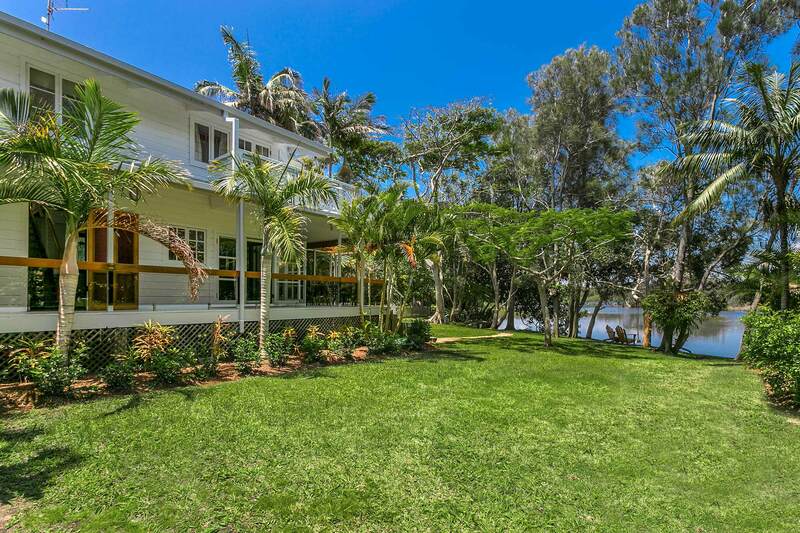 Sweethaven’s stunning waterfront location promises the best of both worlds - enjoy the peaceful Belongil Creek at the rear of the property and walk only 200m to swim at the beautiful Belongil Beach. 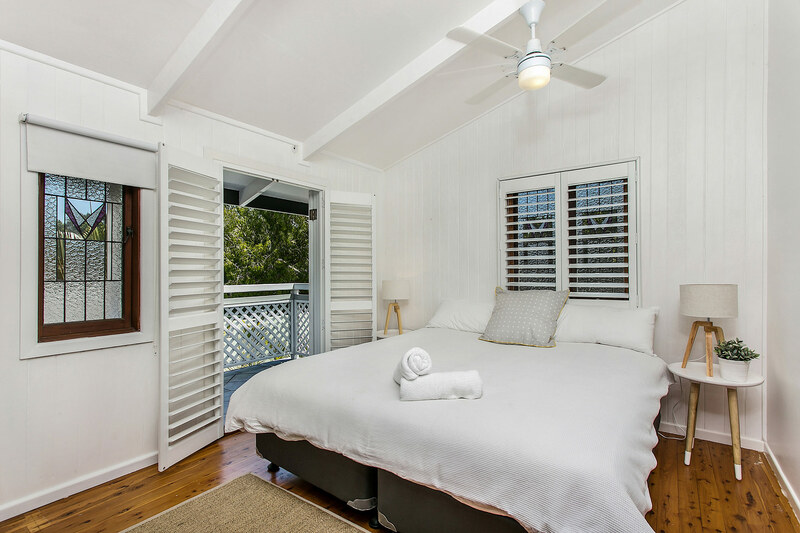 This private sanctuary is located only 2km from the hustle and bustle of Byron Bay town and guests can get here via a stunning 12 minute beachfront walk or a short 2 minute drive. From here, walk to the Belongil Bistro or Treehouse restaurant/bar/cafe to enjoy coffee, cocktails, meals, music and more. Sweethaven was the perfect family holiday house framed in nature's green. 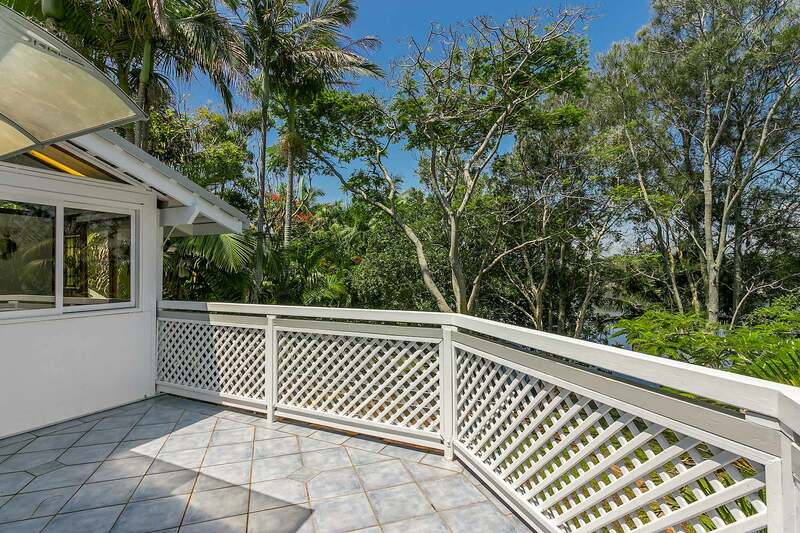 The space and openness of the house with cool breezes, river sunsets, kookaburras and owls & starry nights were unforgettable. A very memorable holiday. The entire reservation process and staff follow up to maintenance inquiry was exceptional. Thank you! 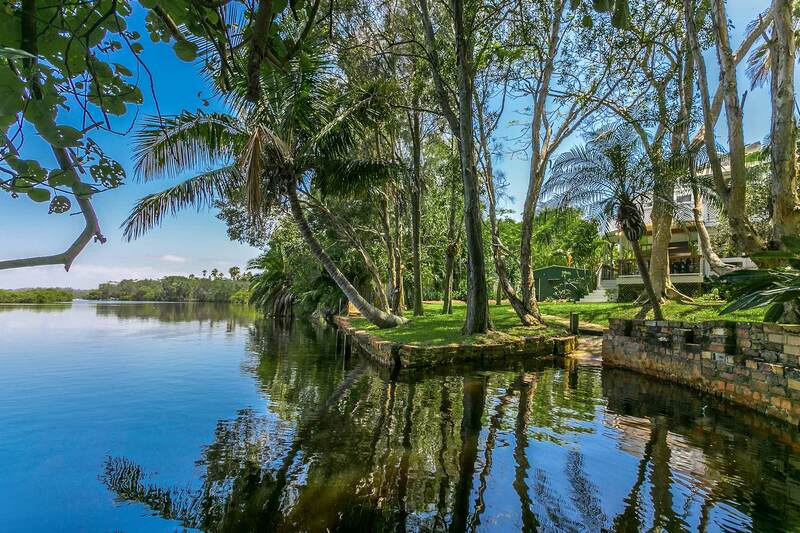 The river setting of this house is simply stunning, beautiful sun sets and birds galore. Lots of space and great kitchen and bbq. 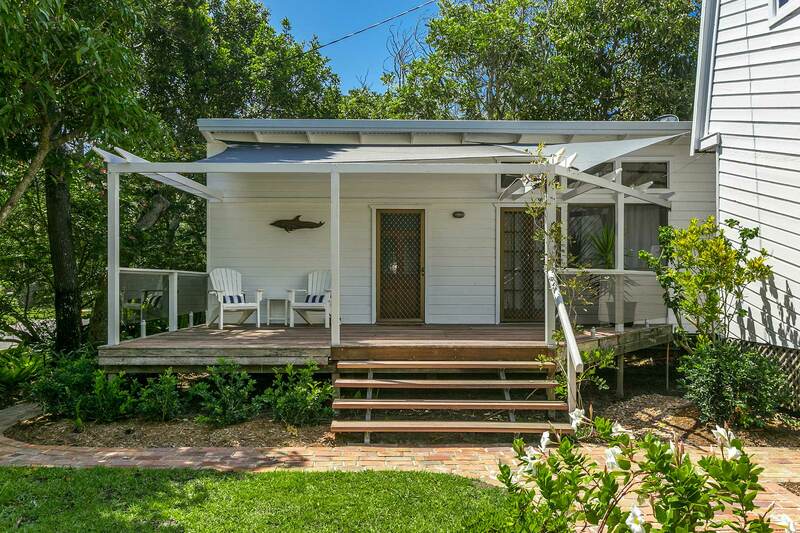 We so enjoyed our time in Byron Bay, and this house was a big reason as to why. 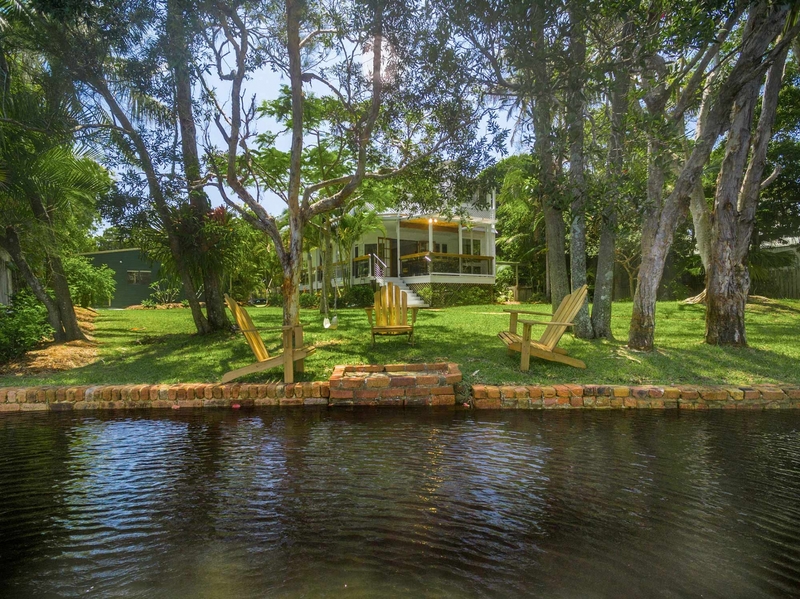 It was perfectly nestled between the creek and beach. We loved all of the windows, and the ability to open up the living room area for a cool breeze. The hosts were very easy to get ahold of if needed and responded quickly to any questions. Check in and out was very easy. The house is beautiful, and we'd highly recommend staying there!